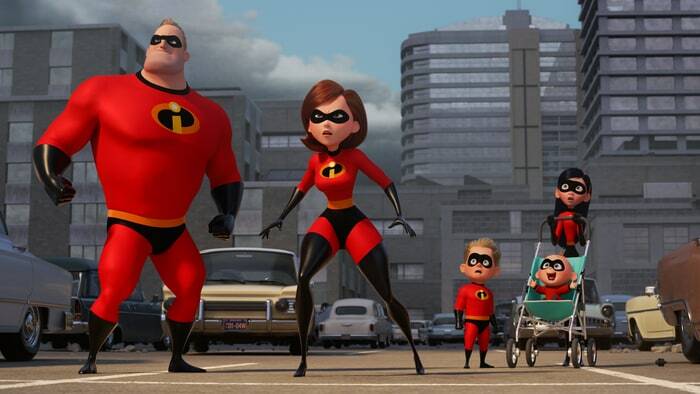 Disney is back on top of the box office again as their latest Pixar adventure, Incredibles 2, debuted to the tune of $180 million. This shatters Finding Dory's animation record of $135 million, set a couple of years ago. It made an extra $51.5 million overseas for an early worldwide total of $231.5 million. In other news for Disney, Avengers: Infinity War, crossed the $2 billion mark this weekend... and it surpassed Titanic's domestic gross of $659 million, to become the 4th highest film (domestically) of all time.